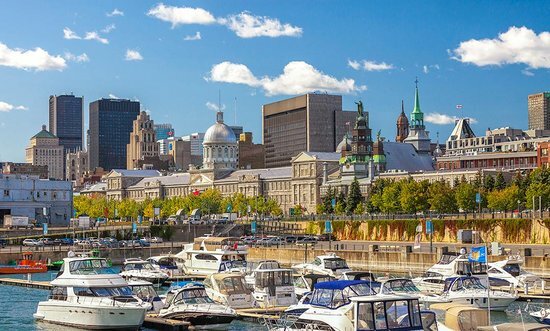 The goal of the CSTA Montreal chapter is to create a forum where both novice and professional technicians alike can learn and share their knowledge of technical analysis. It is open to both members and non-members. The meeting begins with a 40-minute presentation from a guest speaker via conference call, webinar or in person. It will be followed by a Q&A period where participants are encouraged to bring forward any question they may have. Afterwards, there will be a roundtable discussion of stock charts with strong technical significance. These meetings are always free for CSTA members. First-time non-members are admitted free of charge as guests. Returning non-members are charged a small fee of $20 (on the honor system) to help defray costs. For more information about the Montreal CSTA Community and its activities, please contact montreal@csta.org. We are here to help make your learning of technical analysis a more enjoyable and enriching experience! Most CSTA chapters are started by an enthusiastic individual, who wants to network with other industry professionals, seasoned traders and neophytes. Chapter leaders and their volunteer members serve as ambassadors for the CSTA and plan social and educational events for the area. Events include presentations by industry professionals and technical analysis experts as well as peer learning gatherings. Chapters also play a vital role in their community by connecting individuals and promoting technical analysis. The mission of the Canadian Society of Technical Analysts is to enhance the professionalism and encourage the development of technical analysis, provide an outlet for the exchange of information for the benefit of all members and educate the financial community in Canada about the uses of technical analysis in the investment decision-making process.